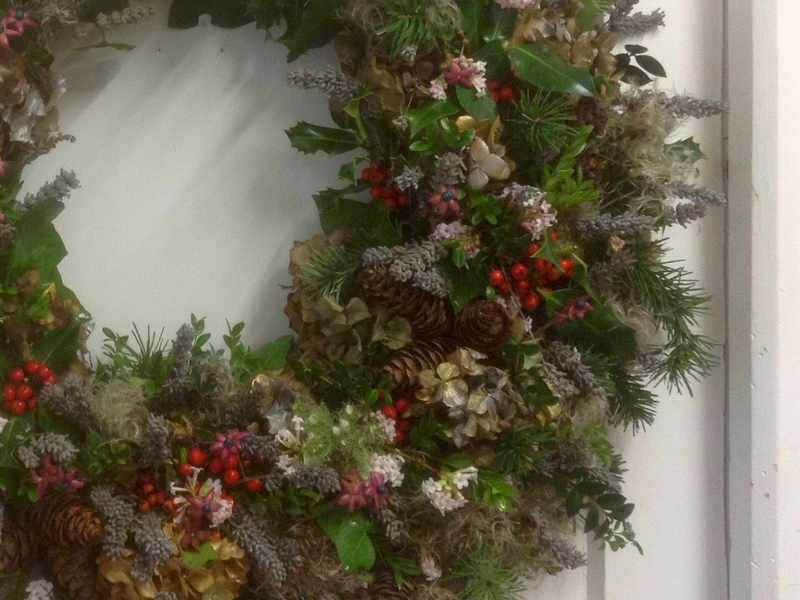 Today is the start of wreath making madness! Everything sourced from the hedgerows, woods and verges filled in with greenery and flowers from gardens and forestry – having asked for permission first! 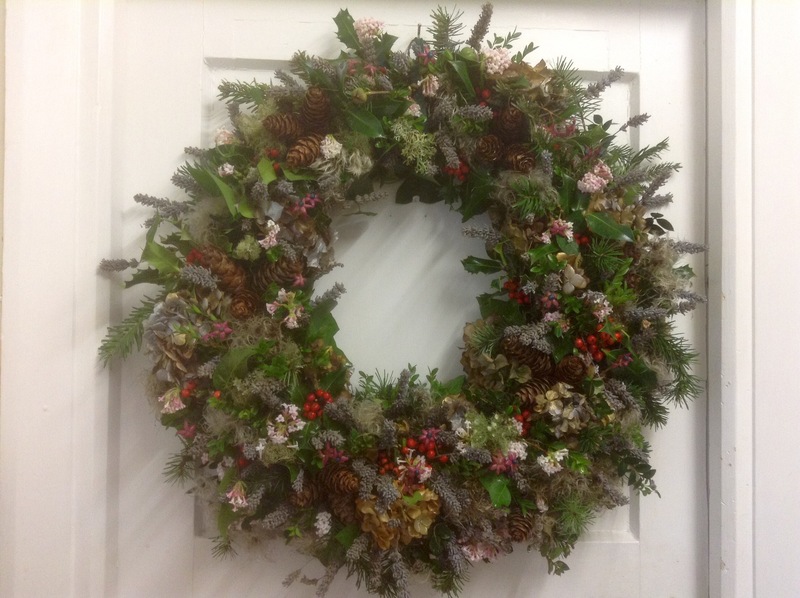 Caroline is a Constance Spry trained florist, with many years experience. 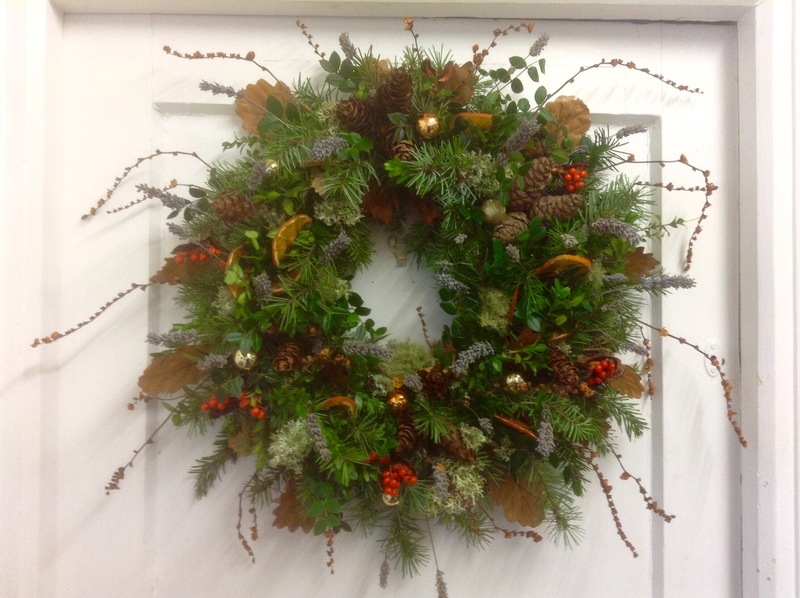 She is running wreath making courses as well as making to order. To make an order or book in on a course please email: caroline@marinerslodge.info Get some friends together and either come to Mariners Lodge or Caroline will come to you! 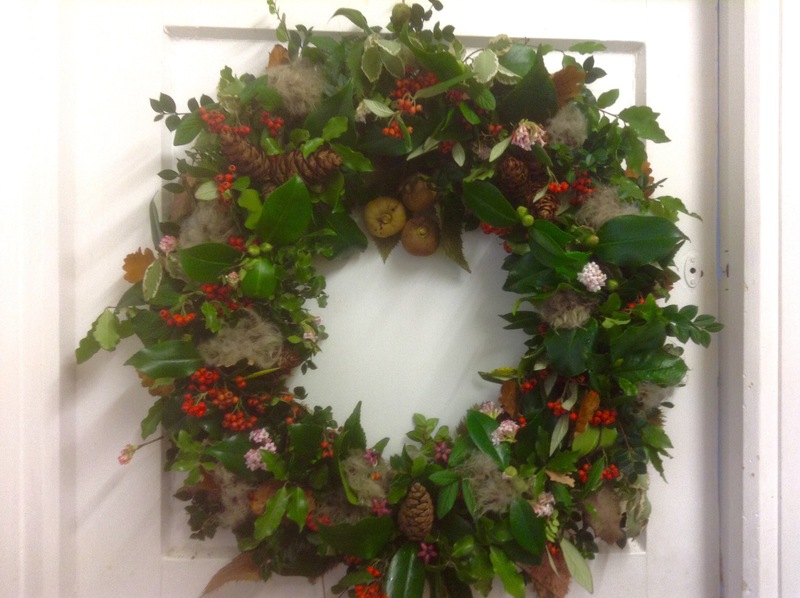 You will have a demonstration, followed by tuition in making your own wreath, table centre, swag or garland. Make it a party, much fun had by all, whilst learning a great new skill and picking up loads of helpful tips. 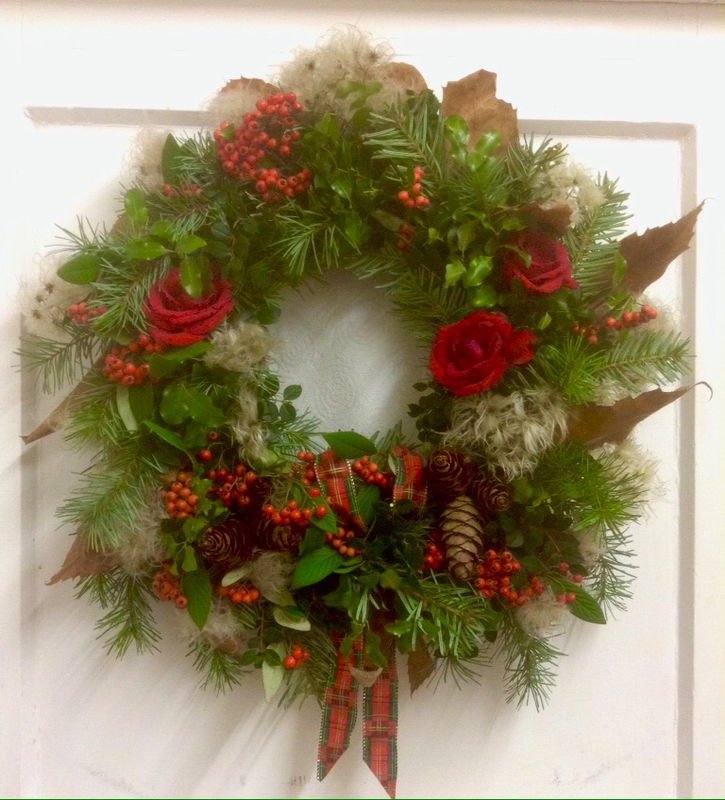 This entry was posted in Autumn, Bed & Breakfast, Birds, British Summertime, Celebration, Christmas, Countryside, Excursions, Exmoor, Garden, gardening, General, Photography, Porlock, Porlock Weir, Sea View, Sub-tropical, The Marsh, Tourism, Travel, Uncategorized, Wreath making, bespoke flower arranging tuition, hedgerow foraging, pine cones, seed heads, natural foliage, garden flowers, arranging through the year, monthly flower courses, choose your course, fea. Bookmark the permalink.